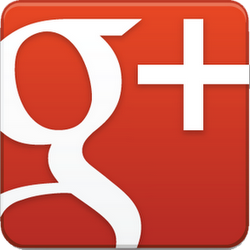 Google+ has continued to tout the benefits of its social platform for individuals and businesses. And though the message has been slow to catch on, the numbers suggest that more and more people are learning the benefits of using Google+. Business owners who are still deciding need to know that Google+ isn’t just another social media network. Here are five features that make Google+ a good tool for businesses to use. An interesting, useful, but someone spooky feature of Google+ is that it automatically adds hashtags to posts. When a person posts to their Google+ business page, the post itself is unedited, but to the side, there are hashtags that are related to the topic. This is useful because it means Google has linked the content with a term that people interested in the topic will be using to search for that kind of information. Posts from the Web Marketing Pros Google+ page will be tagged with terms like ‘ecommerce’, ‘technology’, ‘mobile’, etc. It’s a little spooky that Google’s algorithm is reading the posts (in a manner of speaking) and then adding what it considers to be appropriate hashtags. Unsettling as it may be, it does significantly increase the reach of the post with no extra effort from the poster. Another Google+ feature that is useful for businesses and marketers is Circles. Businesses can use Circles to organize their followers and the people who follow them. This is helpful for organizing the stream of posts that come from the Google+ users they follow. Posts from industry news sites can be on one section, posts from vendors can be in another section, and so on. And marketers can use Circles to organize your which of their posts are viewable to certain groups of friends. This can be useful for a business that sells products to both retailers and consumers. Everyday visitors can see posts with information for direct-to-consumer pricing, whereas vendors can see the posts with wholesale pricing. Just click a Circle in the left column to determine which circle of friends sees your posts. Facebook may have events, but the events feature on Google Plus has a robust set of features that allow users to build creative and attractive invitations, and then to specifically target which Circles and followers see the event invitation. There are cute animated themes for different seasons, holidays, product launches, fundraisers and more. Invited guests can all contribute to a shared photo album, which is an amazing way to encourage engagement at events. And business owners can also use the popular Hangout feature to host video events online with their fans and followers. Companies and politicians have had a lot of success using Google Hangouts to host Q&A sessions, release product information, and more. The ways business owners can use Google Events to increase engagement with their fans are virtually limitless. Google recently added a new feature to Google+ that will add an extra layer of protection for certain communities. When the feature is used, business owners can decide if their restricted community will be open to everyone at the company or limited to just employees who receive an invitation. This can be used to used to spread information to beta testers of a product, or to establish a special fan community with content only for certain individuals. The members of the community can also share certain files on Google Drive with one another, and the system is malleable so that setting can be changed on the fly. The most important feature of Google+ remain the ability to integrate a business’s profile into their other Google services. Businesses that post to their Google+ page will have their content appear in branded keyword searches. Additionally, Google AdWord users’ search ads will show relevant information from Google+, like the number of followers of their page. According to Google, search ads linked to Google+ average 5-10% more clicks. There is also the benefit of authorship, company blogs can have their content listed as being from that profile. For example, the posts from this blog in search engine results may have By Peter Roesler under the headline, which would link to SERP with other articles or it can have Web Marketing Pros under the headline which would link to the Google+ page for the business. Google+ still has a long way to go before it has the popularity of Facebook and Twitter. But what the network lacks in audience, it makes up for in innovative and useful tools. Diversifying a social media strategy is also useful as other networks become harder to market on. Google Plus will continue to grow in importance, so marketers should learn how to use it to the benefit of their organization now.